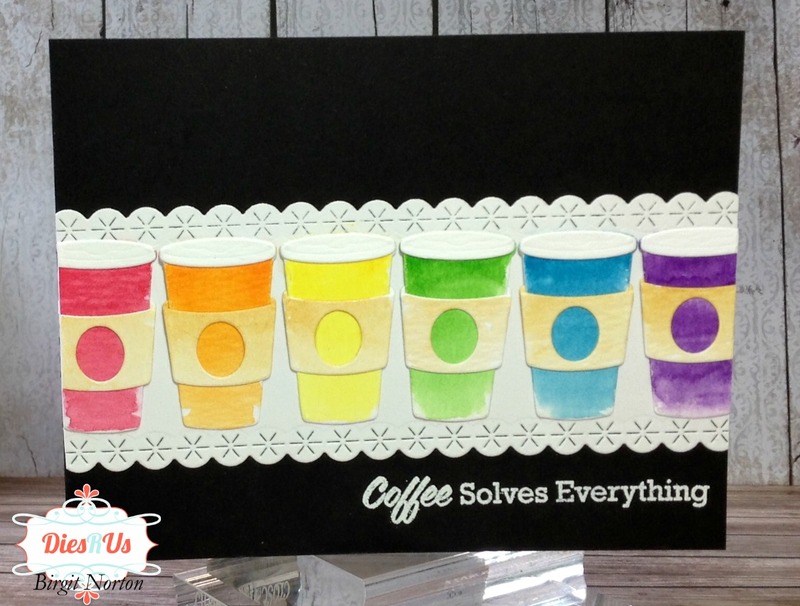 Dies R Us: Coffe Solves Everything! Today's card is quick and easy! 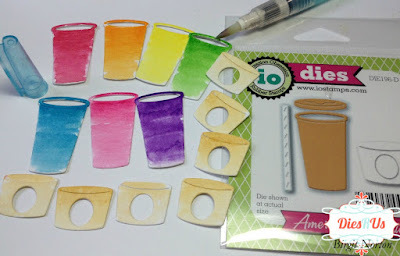 I started by cutting several Impression Obsession Takeout Coffee Cups out of water color card stock and used Gansai Tambi water colors to loosely paint the cups, allowing the color to fade as I got closer to the bottom of the cups. I painted them in rainbow colors. Once they were dry I assembled the cups using Glossy Accents. 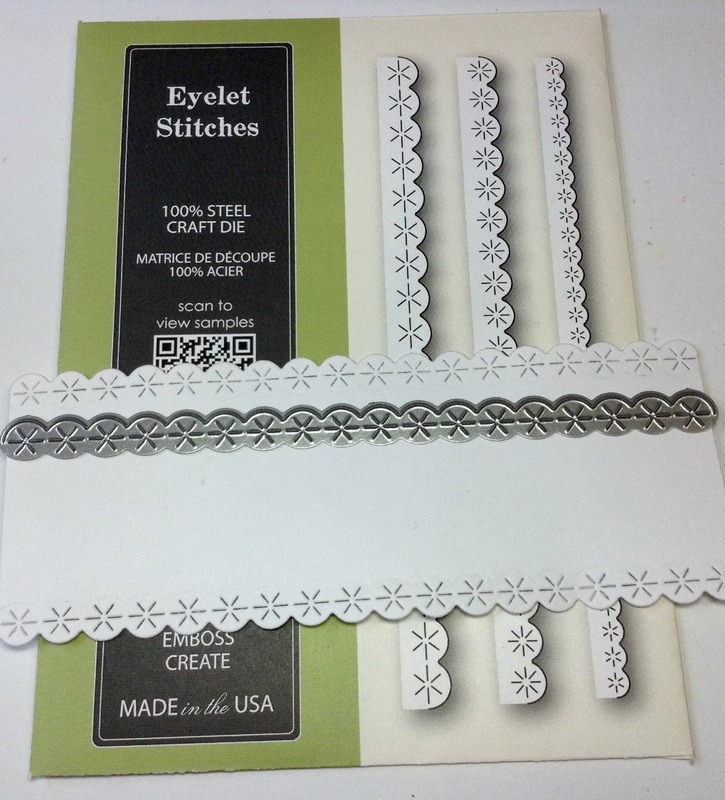 I cut a strip of white cardstock about 2 inches wide and used the Poppystamps Eyelet Stitches to make a pretty border. 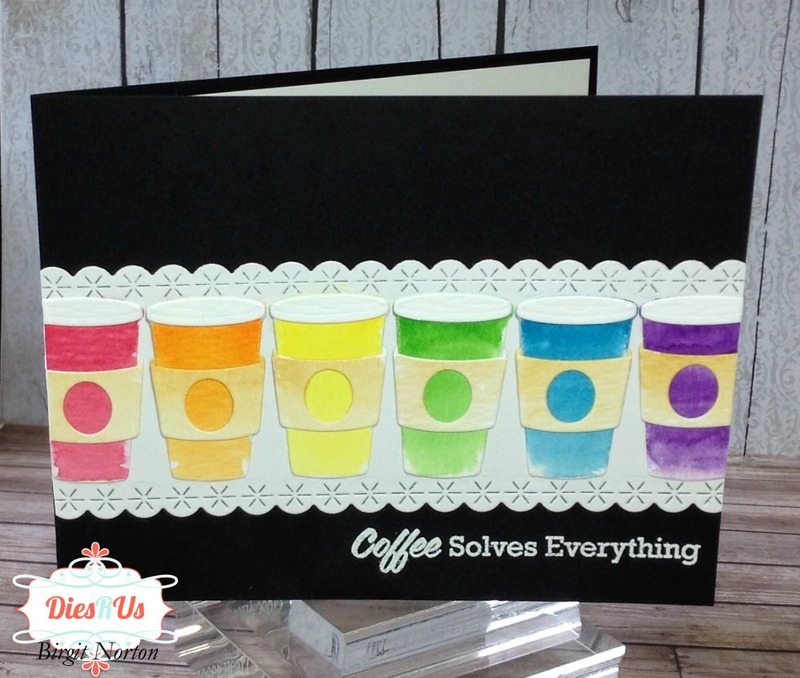 I mounted the strip to the front of the card and adhered the coffee cups in rainbow order onto the front of the card, trimming off the edges. 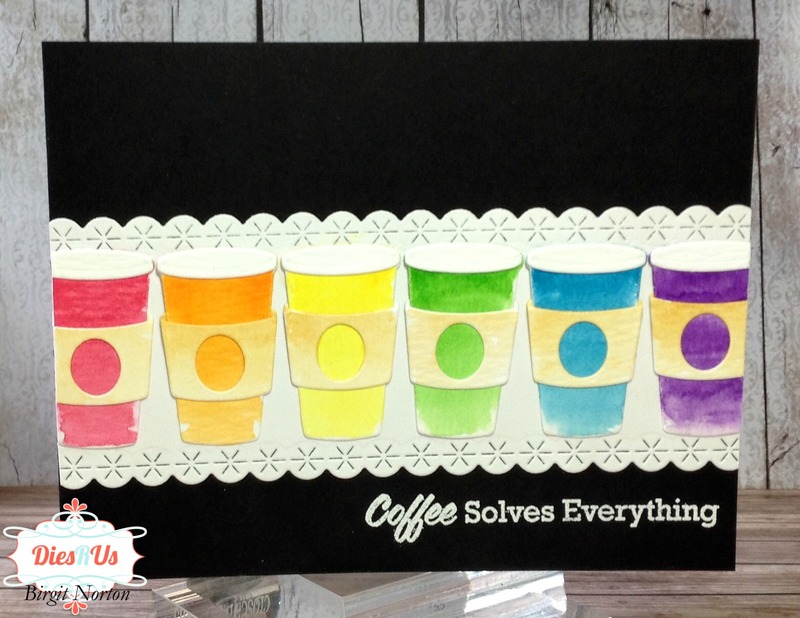 I heat embossed a fun coffee sentiment under the white lace panel. Simply a wonderful design and so colorful too. True words, for your sentiment. 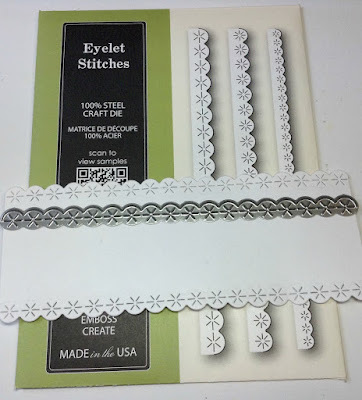 Birgit, I love this fun card! 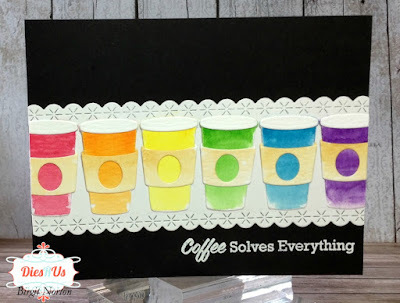 The black background is great with the brightly colored cups! 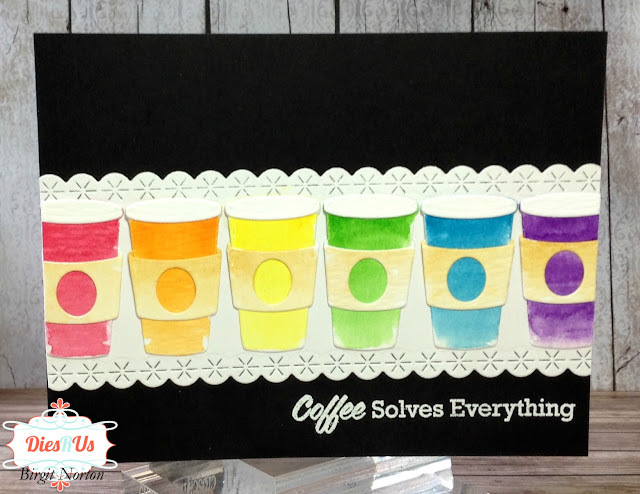 Really like your card - nice bright colors highlighted because of the black background. Love the dies you used too. I love this! the rainbow of coffee cups is gorgeous! great job!